Sens is a town in the Department of the Yonne, 35 kilometres south of Provins and 41 kilometres south-east of Fontainebleau. The communal cemetery is east of the River Yonne on the north side of the Rue du Mail. There is one Commonwealth burial of the First World War in the north-east corner of the cemetery. 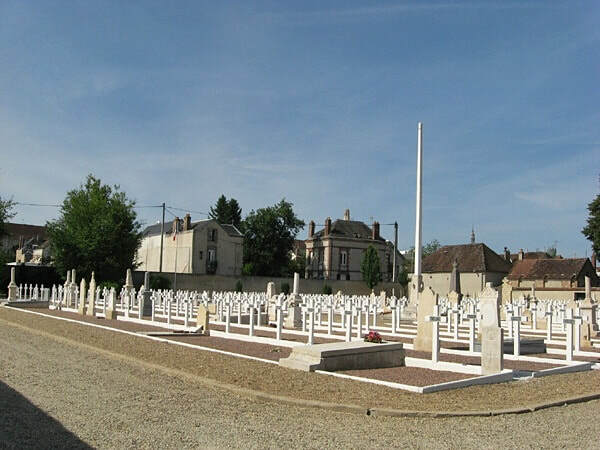 ​Note: The CWGC have the town listed as Sens-sur-Yonne. It is true the town centre lies just east of the River Yonne but the appelation is just Sens. 1915 Private Michael Thomas Kennedy, 24th Bn. 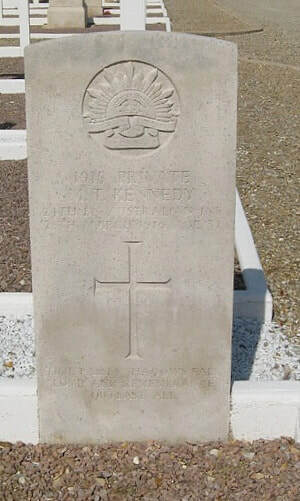 Australian Infantry, A. I. F. Died 28th March 1916, aged 32.